Horror haul … dead fish floating and washed up on the Coromandel Peninsula. 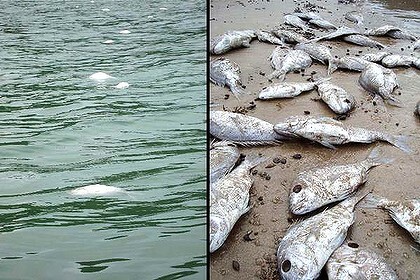 People with binoculars said the snapper stretched as far as they could see and boaties reported “a carpet of floating fish further out to sea all along the coast”. “We initially thought ‘woohoo a free feed’ but they had really cloudy eyes and you could see the birds had been at them. Some of them had no eyes,” Pearsall said. “Any commercial operators must record and report their catch,” said ministry field operations officer for Waikato, Bay of Plenty and the Coromandel Brendon Mikkelsen.